In the digital age, everything runs at lightning speed, and 5G promises to push the envelope even further. This new generation of communications will mean faster streams of data, which in turn will drive demand for more data transfers, which will require more cables. 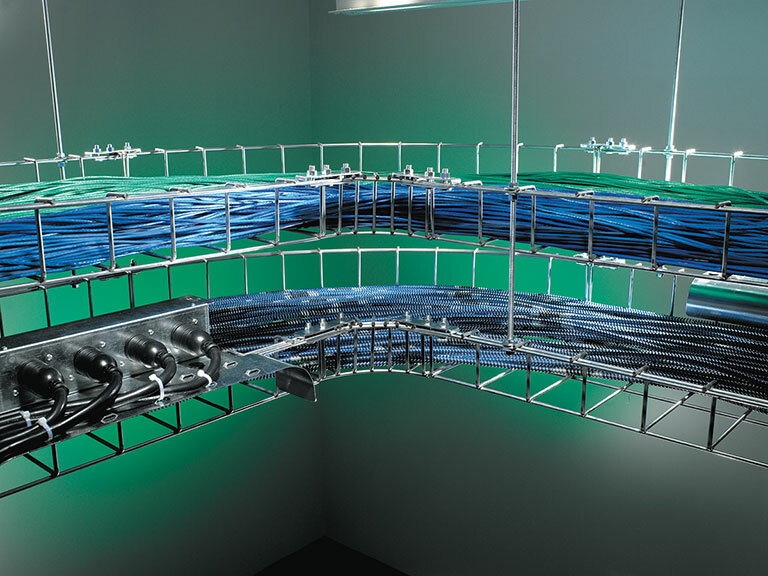 This oncoming high-density cable environment has more companies looking at new cable tray solutions to keep their growing number of cables in place. However, traditional wire baskets can be unwieldy and time-consuming to install, leading to escalating labor costs. If you’re looking to install a cable tray in your existing or new business location, here are some tips that will help you save in more ways than one. On-site installations of traditional wire basket cable trays can take hours. Each turn, tee and cross section involves multiple tools and labor-intensive steps, including hundreds of individual cuts, smoothing and the cleanup and disposal of wasted material. 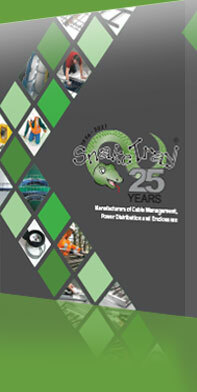 To combat this, cable management manufacturer Snake Tray offers Mega Snake, a high-capacity cable tray that is preconfigured to eliminate field fabrication. Installers using this prefabricated solution could experience an installation time over 90% faster than a generic wire basket cable tray option, without the need for any special tools. This not only reduces on-site install time, it greatly cuts labor costs! Because of the design of most cable trays, a palletized bundle can only accommodate so many pieces at a time. This can add considerably to your shipping costs, and in addition, take up an unreasonable amount of storage space. Ideally, you want a system where the trays can be arranged to nest within each other. Mega Snake features a unique, proprietary wing design that does just that, allowing you to stack 80 to 120 trays on one pallet. This reduces shipping and handling costs. And once the delivery arrives, it won’t take up a lot of space. The adaptability of your cable tray involves more than how it’s formed and configured in the field. Can it meet the requirements for high- and low-voltage cables? Can it be installed above your ceiling or below the floor? Can it support insulated electrical cables used for power distribution? rail that can be accessorized with electrical boxes, patch panels, wireless distribution boxes and more. If you’re looking for a cable management system to support your current or upcoming building requirements, contact Snake Tray today! We offer a unique mix of innovative products that are tailored to the needs of clients in a broad range of industries and designed to reduce the total cost of construction.